Lisa Brackmann is known in the mysteries world for her two series that take place "elsewhere" -- an intriguing multiplayer game theme in her Chinese series (memorable! ), and a "Mexico noir" drug-running series with plenty of violence. 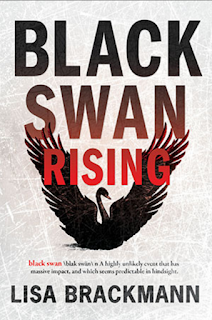 But neither one delivers the shocks and political reality of her new crime novel, BLACK SWAN RISING. The plot unfolds through two women: Sarah Price (not her birth name), whose past is so horrifying that it subjects her regularly to cyberstalking, even as she struggles to hide within a massive political campaign team; and Casey Cheng, TV news reporter determined to reach national levels, no matter how much harassment her career path triggers. For both women, just being strong females turns them into targets of an organization as nasty and self-righteous as the original Ku Klux Klan. Online, it's called #TrueMen. Not only would its members adore any politician who talked in terms of "grab them by the p---y," they've taken the theme much farther, deliberately setting up women to be bullied and even physically harmed. Maybe, as Casey Cheng discovers, even shot. There's a lot of rough language in this book, which makes it hard to pull excerpts that capture the tension and suspense; each passage I wanted to share involved four-letter words. And a lot of vile name-calling. And yet this book rang true, matching up with the worst gender bullying I've seen and heard. Even though I felt vaguely ill half the time, I had to keep turning the pages. How could any two women stand up against a set of hate crimes organized nationally on the Internet and propelled by brutality and punitive actions? 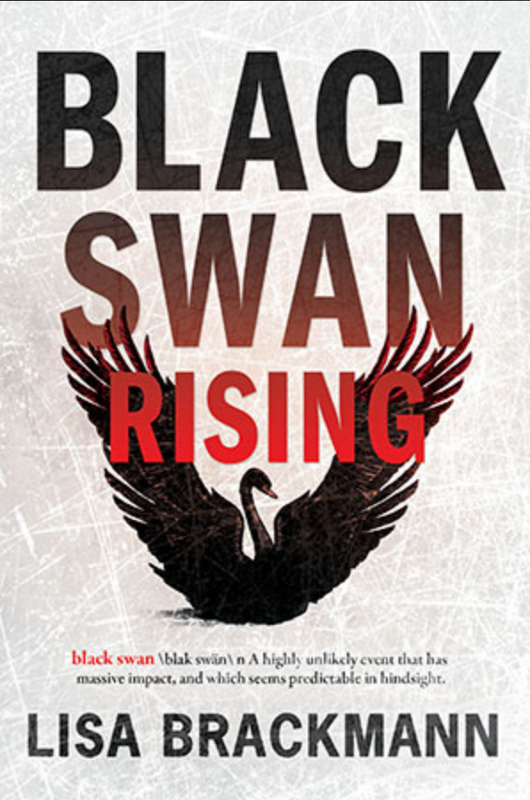 Blackmann pulls the plot toward a high peak of danger, never losing the "truth" of each character's power and vulnerability. "You know," Casey said suddenly. "I'm ready to come back now. I mean not my regular job, obviously." She laughed, suddenly feeling self-conscious. "I wish I could do it, but the fact is, I can't. But ..."
Three Dead in Alabama High School Shooting. She waved at the monitor. ... She suddenly felt herself on the brink of tears. "You know, people who get hurt, whose friends and loved ones die ... they don't get to move on. And I was thinking ..."
She leaned forward. Time for her pitch. The hint of tears might even help. "We suffered a major loss in this community. Seven dead now. Five seriously injured. And we've largely moved on from it in terms of our coverage. What do you think about a special report? A series about the long-term repercussions of a tragedy like this?" Jordan crossed his arms over his belly. Thinking it through. "So the angle is ... you?" Although Brackmann's finale ties up the story's threads, disturbing echoes remain after reading the book, and each news broadcast this year has a chance of amplifying those echoes. So in this sense, although Brackmann has whipped out a stinging political thriller with a striking female angle, she's also done something much more. The power of this crime novel resonates like a Margaret Atwood speculation on threat of our future -- pulled much closer. Like, to next month. It's not a stretch to say this could be the dystopia next door. I sure do hope it's not. Well played, and well written. I'd recommend buying a copy at its September 8 release -- but then being very thoughtful of who else to give a copy to. And that, in itself, is a frightening statement of where we seem to be heading. Thanks, Lisa Brackmann, and Midnight Ink, which stretched outside its usual comfort zone in bringing this to print.